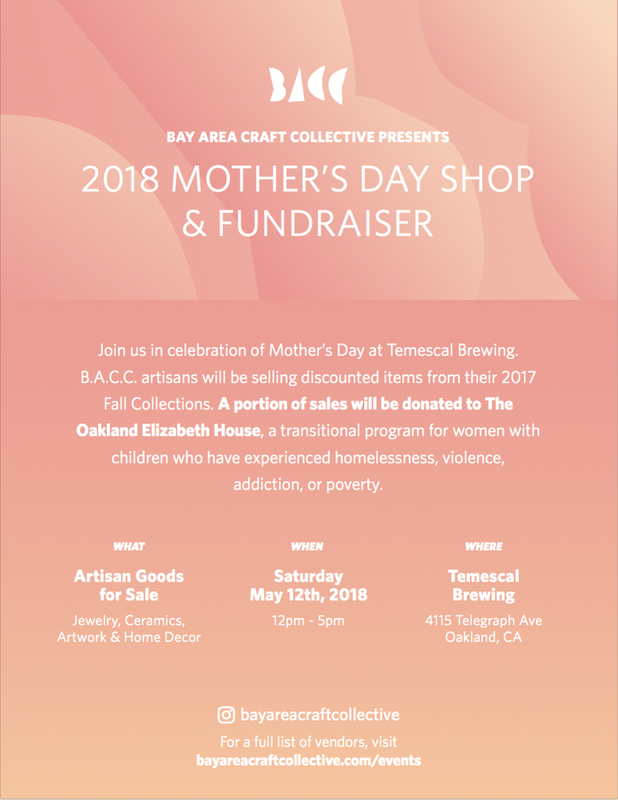 Bay Area Craft Collective Identity — Garzi Inc. 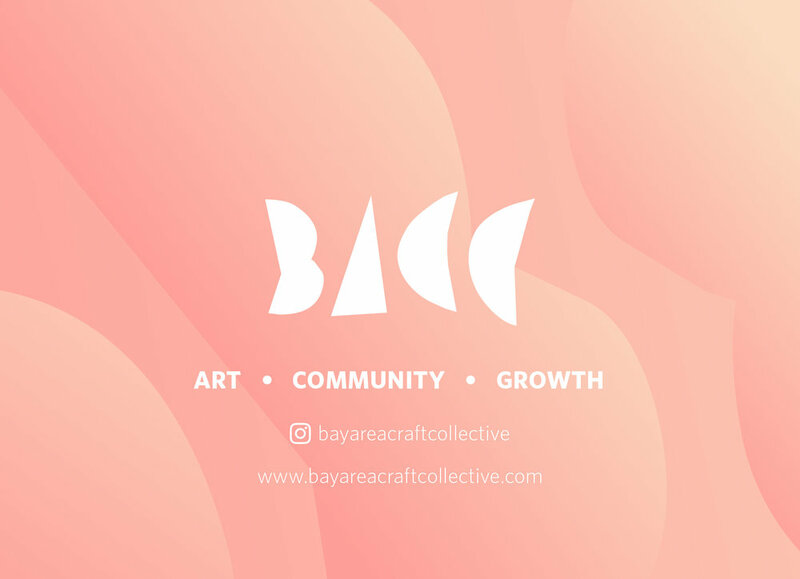 Founded in 2017, Bay Area Craft Collective (B.A.C.C.) is a group of artists and crafts-people from around the San Francisco Bay Area working together to share our experience and creativity with our community. Members of the Collective, including myself, realized we had an opportunity to brand ourselves in a way that reflects our collaborative and inclusive values. We opened up the design challenge to all 20+ B.A.C.C. members to submit logo designs for the group. Pulling inspiration from childhood memories, creative freedom, basic design elements and from the definition of "craft," I developed the identity below which was ultimately chosen by the group to be our logo and to guide our identity for 2018-2019. In a group of 20+ artists with varied disciplines (ceramics, jewelry, painting, glass work), how do we we come up with an overarching, unifying concept to represent the entire group. We all create different types of artwork and in some cases use very different tools to do so. So what is that common thread that connects us all? In this concept, I chose to start by defining the word 'craft.' Each of the B.A.C.C. members identify as a craftsperson. We take pride in the work we make, we know our creative strengths, and we know exactly what our process is. We can replicate it and teach our process to others. And maybe THAT is the most common thread we share - we all have a distinct process. What if our logo was actually something that each member could physically create out of their own process? The metal worker could cast it from a mold. The ceramicist could form it out of clay and fire it. The designer might use paper. Being a designer, that's where I started. Cutting paper. 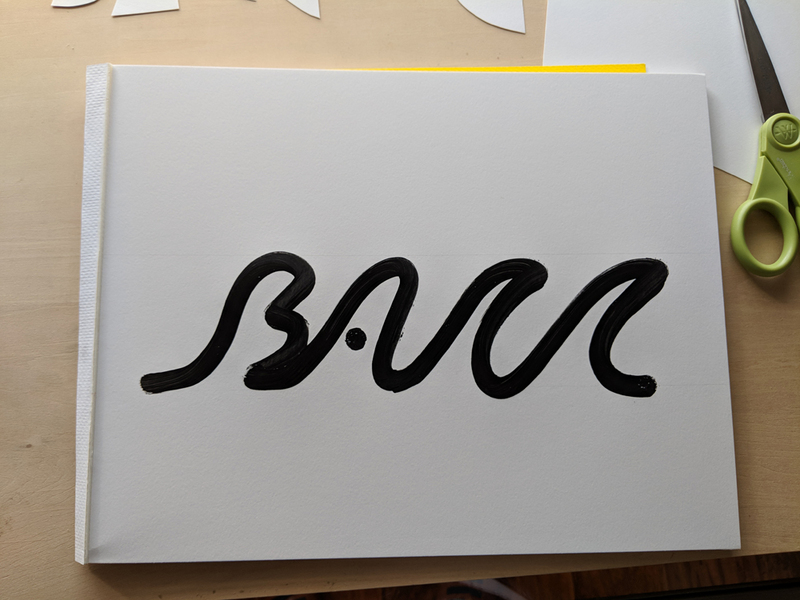 Working with just scissors and bristol paper, I started playing with the idea of translating the B.A.C.C. 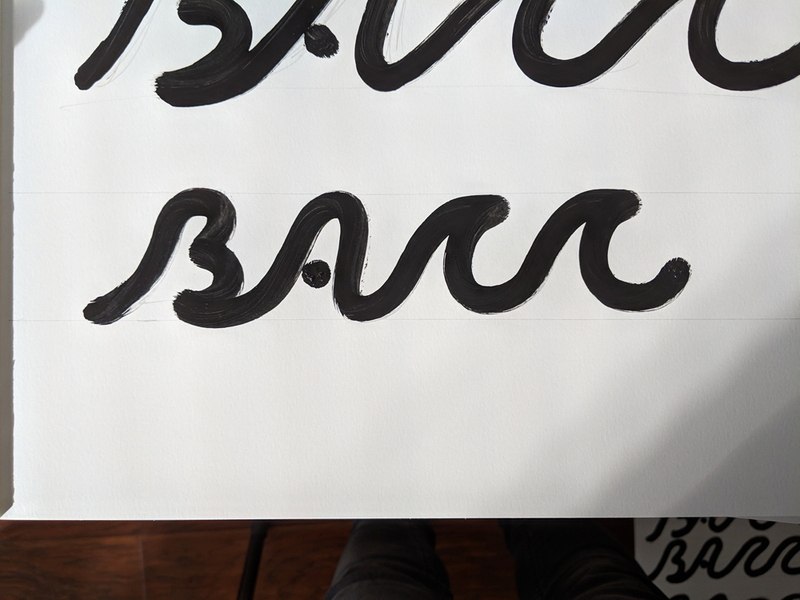 letterforms into basic shapes. 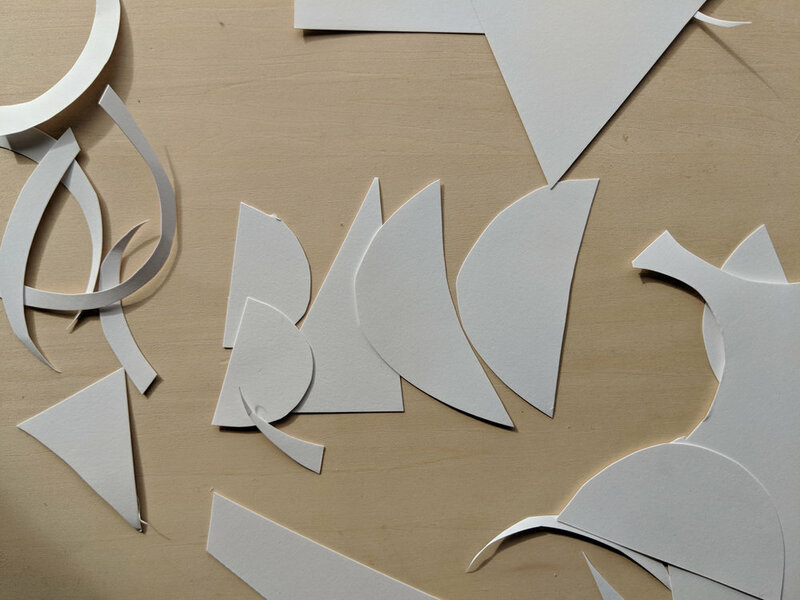 Half circles, perfect triangles and not-so-perfect triangles; imagining how the other Collective members might make the shapes in their own medium. I looked for letterforms that were playful but controlled, shapes that were evocative of what a child might see when playing with building blocks but that were also (most importantly) legible. 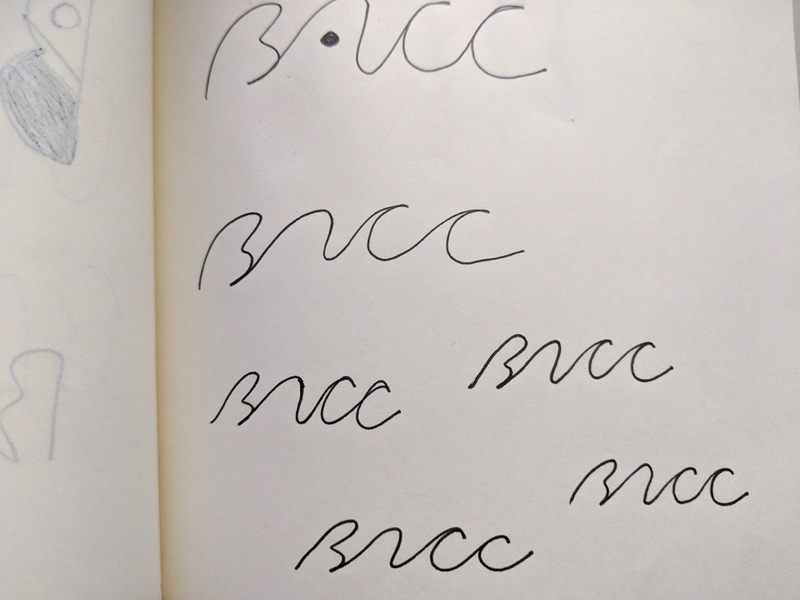 When I finally found the letterforms I was most happy with, I rearranged the shapes playing with the composition; including some overlap to convey 'connection' and 'togetherness' - two values that are at the core of B.A.C.C. Inspired entirely by the California Coast and the creative culture of the Bay Area, this design turns the B.A.C.C. letterforms into a rolling wave. This is my personal favorite of the designs that I submitted to the Collective, but in the end it was not chosen. While it does evoke the 'surf & sun' vibe of California, it does not accurately represent the individual artistic styles of all B.A.C.C. members. This design started really simply as a hand-drawn sketch in pen on paper. From there, once the form was right, I switched to a larger paint pen which I use in my own artwork. I hand-drew probably 50 to 60 different iterations, picked my favorites of the bunch and combined them all together digitally. As much as this concept fits my own aesthetic, I'm pleased that the group chose the 'Cut Paper' approach above. Maybe one day I'll find another use for this one!